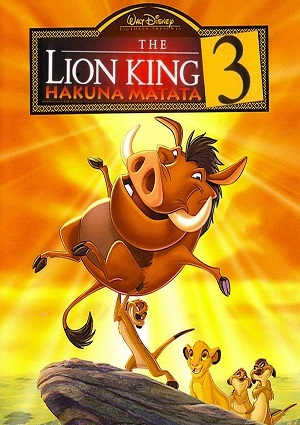 The film is narrated by the perspective of the duo, Timon and Pumbaa. The pair is shown watching The Lion King film, while commenting the movie. They stop the film few times and rewind it to show their side of the film, both occasionally stops the footage just to talk one to another. Timon shows Pumbaa the backstory of him, revealing to be outcast in his home. Supported by Ma, mother of Timon, the meerkat wished for freedom in life and leave the colony after the group is nearly eaten by hyenas. He meets Rafiki, the mandrill, who warns him to discover his place in the world by the lifestyle of Hakuna Matata.